Home » Tutorials » What is Parawood? When you are on a furniture hunt, you might come across wood that is referred to as parawood. Most people haven’t heard of parawood and might be confused by this term. This article is going to explain what is parawood as well as the origin and how to care for it. 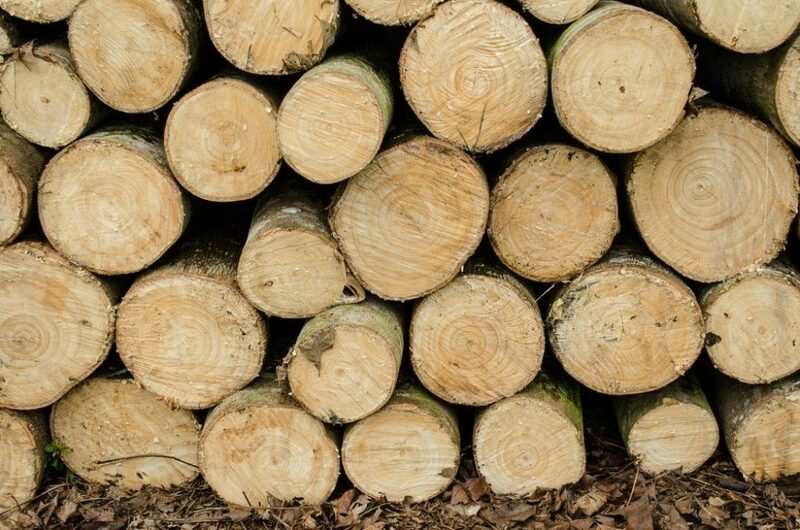 Every piece of wood has its unique characteristics which allow you to revel in its beauty. Let’s dig deeper into what parawood is so you can come to appreciate this as well. 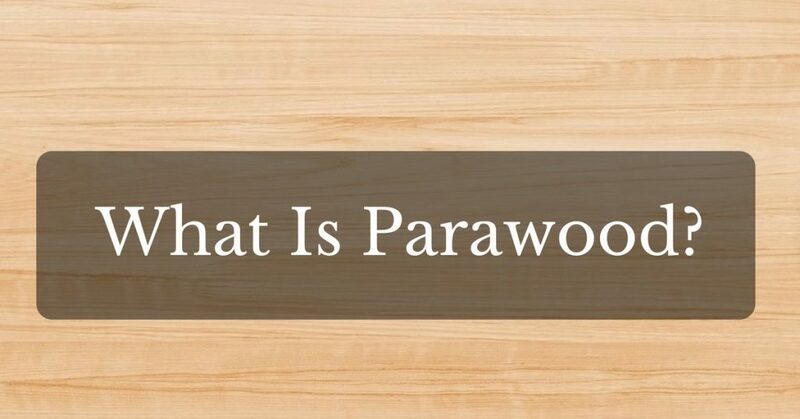 Parawood is also referred to as rubberwood, which may be something you’re more familiar with. This wood is more popular than you would imagine and you may even have some sitting in your home right now. The reason you don’t know it’s parawood is because of the many different names it is called by. Parawood comes from the rubber tree found to be native in Brazil. It’s also cultivated in Asia’s tropical regions and comes under the names Malaysian Oak, Hevea, white teak and plantation hardwood. The rubber tree is best known for producing a milky liquid. This sap is what natural latex and rubber are made from. After thirty years or so, the tree stops producing this sap and it is now time to harvest the tree. That’s when the rubber tree is cut down and new ones are planted. The rubber tree grows to be up to 75 feet tall and can have a diameter that is as large as 3 feet around. That’s how it produces such large amounts of lumber, but only after the latex production is complete. Furniture companies prefer to use parawood because of its natural, pale yellow color. This light hue allows for custom colors to match customer’s preferences. The downside to it is that over time it becomes dull and needs polishing. Parawood features grains much like mahogany which are easily controlled with kiln drying. There is little shrinkage so the wood is stable for furniture. With the proper care, parawood can last for over 20 years. Like previously mentioned, parawood is a favorite among furniture makers. You’ll find it made into cabinets, flooring, interior millwork, drawers, wood carvings, plywood, veneer and more. It is available to purchase in varying quality and grades. Bedroom – Many manufacturers use parawood for bedroom furniture like dressers, vanity cases, nightstands, footboards and headboards. Kitchen – Because the hardness of parawood rivals that of oak and maple, it is capable of handling rough use. That’s why many barstools are made from it. You’ll also find many kitchen utensils that are made from parawood. Tables – You can find classy coffee tables, end tables, sofa tables and other occasional use tables made from parawood. Children – It’s not surprising that children are rough on their furniture which makes it wise to use parawood. Not only bedroom sets, tables and chairs, but also many children’s wooden toys are made from parawood. Flooring – The flooring manufacturer spans a wide range of colors and designs. It is also a great absorber of shock making it useful as a gym floor or in a senior home. Walking on parawood lessens the stress on joints, makes movements easier and provides a cushion for a fall. Parawood is a low maintenance wood that is easy to care for. Here are some simple tips to keep your parawood in good condition. Wash the wood with a soapy solution at least once per year. Then, dry it to avoid moisture. Brighten the wood with wax and occasionally strip the wax off as it collects dirt as time goes on. 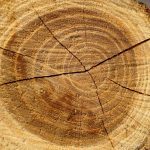 If the wood is in hot and dry places, it can begin to discolor. Don’t put hot items on the wood. This includes pans, pots and cups. It will create white rings on your wood’s surface. Even if you wipe or remove the stains, you are wise to use a pot holder or coaster to prevent them in the first place. If you spill anything, wipe it off with hot water or alcohol immediately so there is no damage down to the finish. It is durable, resilient, strong and tough. When cared for, you can expect it to last for twenty years. The maintenance is easy and the wood is stain resistant. It provides a soft touch which is comfortable to walk on. The wood is resistant to burns and fire. In addition, it is non-toxic. With this wood, you can expect that flooring will absorb shock. That’s why it’s used in gyms and senior living facilities. It is more expensive than many other types of wood. When using a smooth and untextured tile, slippage is possible if water is spilled. This is also common when the floor is polished. The wood is prone to seepage. Wood is easily discolored especially from heat, detergents, grease and abrasive cleaning solutions. In addition to that, the wood faces some more serious disadvantages. For example, the wood is subject to a high level of moisture and is pressure treated. Because of this, it tends to warp, split or twist easily. If the wood is placed in a kiln, warping is reduced. Working with parawood is different than working with other varieties of wood. 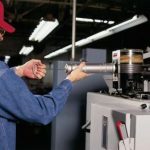 Chemically treated parawood allows it to last longer. This is completed with a pressurized immersion in preservatives. Then, it goes into the kiln to be dried. To cut parawood, you’ll find the most success with back sawing. Then, the infested parts of the tree are easily cut around. When sanding parawood, you’ll want to use a #120 sandpaper. Then, do the finer aspects with a #220 sandpaper. Follow the wood grain at all times and use a lint-free cloth to remove the dust. If you desire to stain parawood, follow the grain direction. Test your stain on a small area to see if it brings about the desired result. Allow your stain to soak for 15 minutes and then wipe up with a cloth. Then, a second coat can be applied. Once it has dried, you can put on the protective coating. Many people like to purchase unfinished furniture and staining it to match their décor. Parawood comes from the rubber tree and is used in many products that you use every day. This environmentally friendly and durable option makes great pieces of furniture and is a fantastic choice for your home. Weigh the advantages and disadvantage to see if parawood is a good choice for you as well.